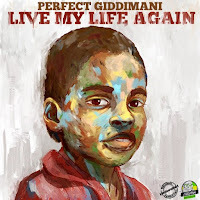 The Reggae Review: PERFECT GIDDIMANI'S FINAL ALBUM ??? PERFECT GIDDIMANI'S FINAL ALBUM ??? 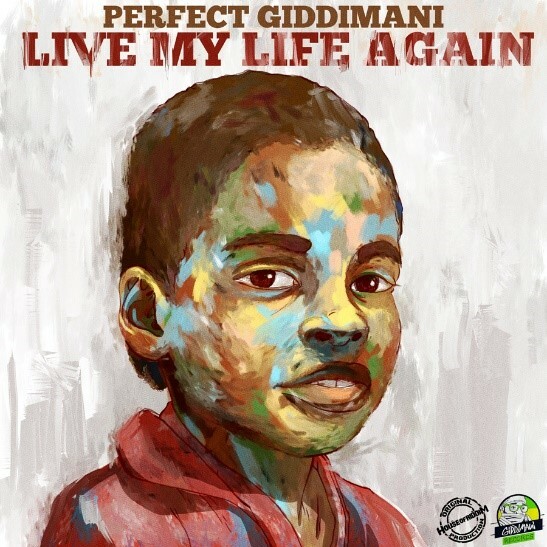 Giddimani Records and House of Riddim are proud to announce the release of Perfect Giddimani’s final album, "LIVE MY LIFE AGAIN". The album was expertly produced by Greg Rose and Sam Gilly over the course of three months in Austria, France, California and Miami. Rose, better known by his stage name Perfect Giddimani, first gained worldwide recognition for Hand Cart Bwoy, which hit the Jamaican charts in 2004. He has released 11 albums and hundreds of hit singles since then. Bucket List dramatically opens the album with words from Brother Moody of the Ethiopian World Federation, after which Perfect notes a visit to Ethiopia is a must. Longtime friend Anthony B makes an appearance on Live it Up, a joyful ode to living life to its fullest. Then there's Breadback and the catchy A Baby, featuring Lutan Fyah, reminding us that we were all a baby at one time. In a natural progression from child to mother, the next track is a personal tribute to Rose’s own mother Irene Mama Rose. Get ready for something totally fresh on World Boss Selassie. (turn up your speakers!) Might as well keep them up for Positive Energy featuring Teacha Dee. Perfect assumes the persona of Kibera Kid next, bemoaning the fate of those without healthcare or education in Africa. Full orchestration and harmonies highlight Lost Somebody. Kumossi, a female vocal trio from Angola, deliver a classic call and response chant on Freedom, beautiful in its simplicity. On the sinuous and seductive Born African, Perfect explains what it’s like to be born a black man. Steven Dajure joins in on the hilarious satire Dollnald Trump. Time Will Tell refers to karma coming back around to bite you. Perfect confesses to being a Love Addict of the spiritual nature next. Rounding out the vocals is the pop-infused title track, Live My Life Again, wherein Mr. Rose confides what he would do differently if he could. Sam Gilly is featured on Bucket List Dub, a true ‘dub you into outer space’ trip for your ears to enjoy, before Breadback Dub bids goodbye for now from Mr. Giddimani. Where he goes next, we’ll have to wait and see..Contributed. This album is so awesome. I love it so much!